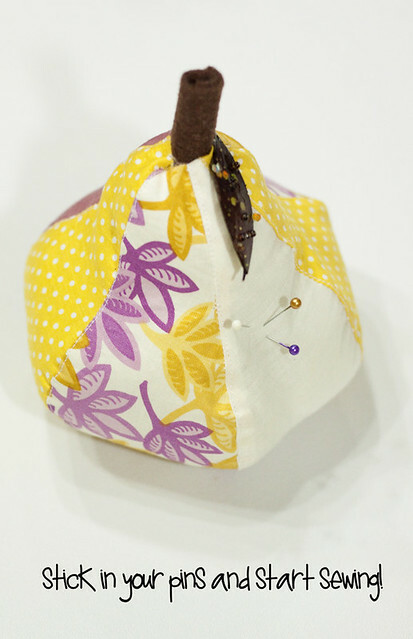 The one in the tutorial is my everyday use pear pincushion. So, lets make it! 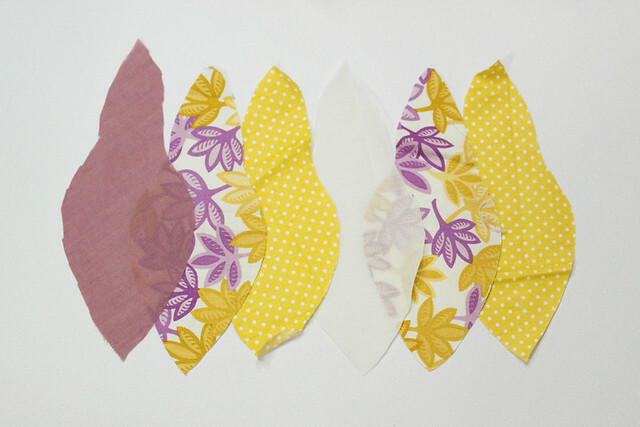 Once you have gathered your scraps of fabric you will need to cut out 6 pear pieces with the pattern from above. Line them up in the order you would like them and bring them over to the sewing machine. 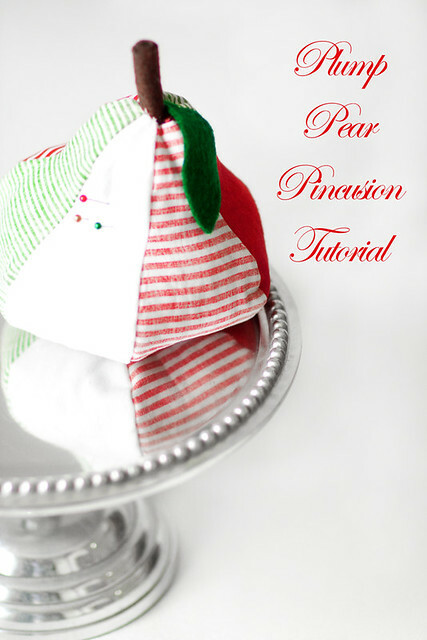 Take the first two slices of the pear and lay them right sides together lining up the sides. Now sew along one side. 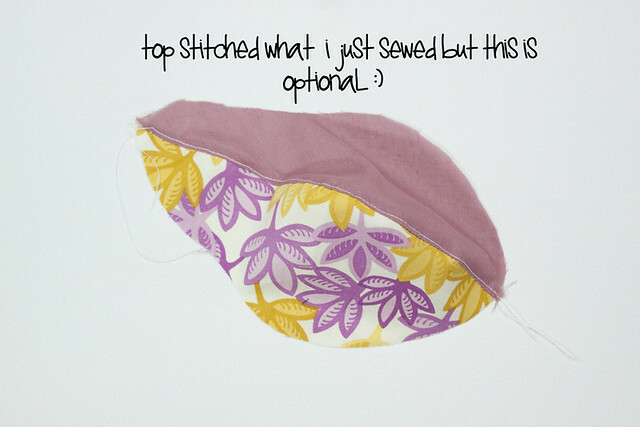 Either way once you have the two connected grab your third piece and sew it to the second piece in the exact same manner. Continue to do this until all the pear pieces are in a nice long chain. 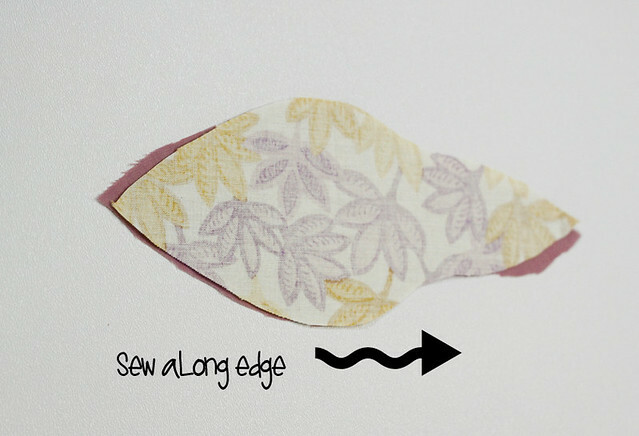 Then fold the chain in half (right sides together and sew the last slice of pear to the first slice of pear, thus creating a circle. 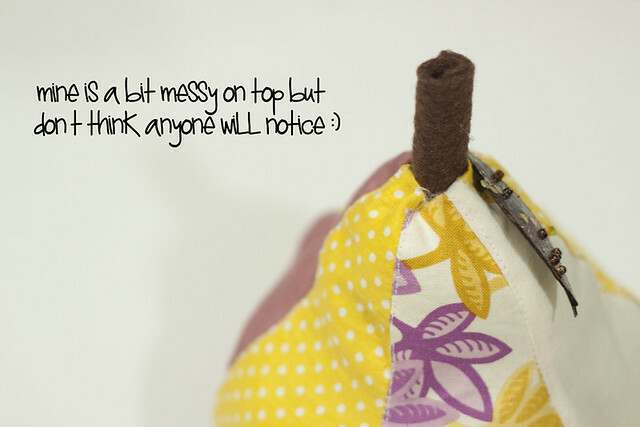 If you sew all the way to the bottom on each slice you should have no hole. 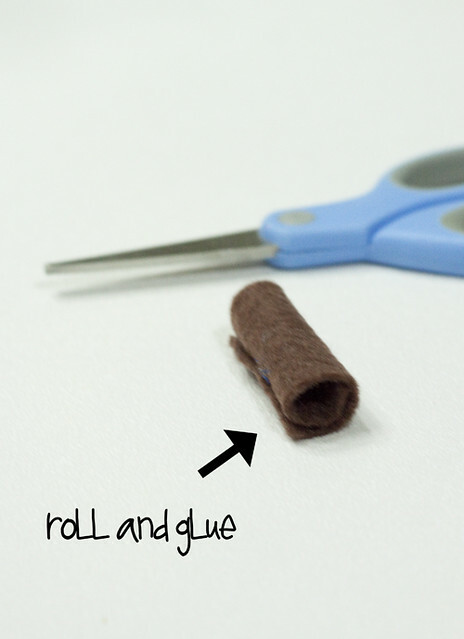 If you do happen to get a little hole you could hot glue a small circle of felt to the bottom to cover it up. 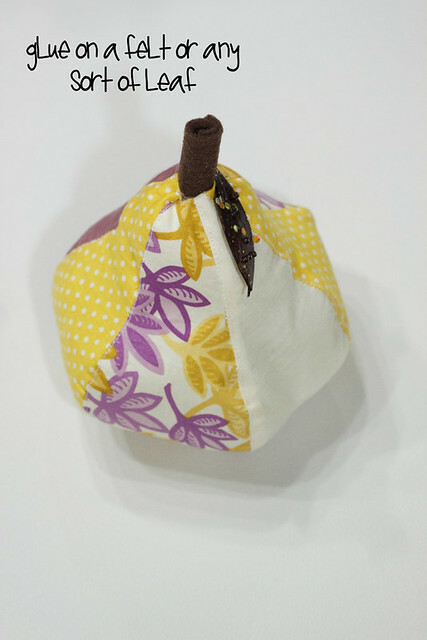 Now turn the pear right sides out and fill it up! I put some sand in the bottom to give it some weight and then stuffed the rest with fluff. 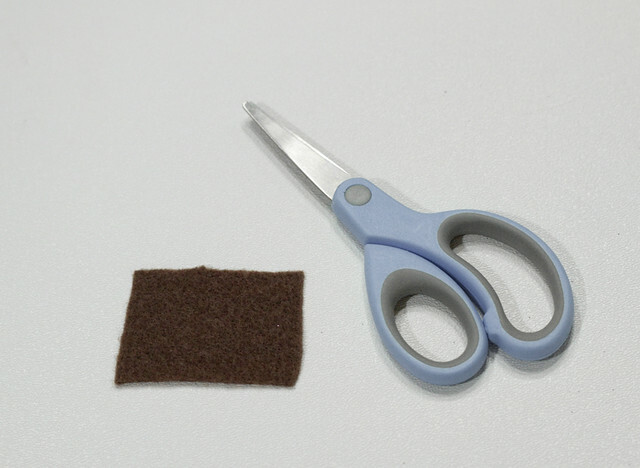 Now cut a small square of felt (or you could always use a cute thick twigg). 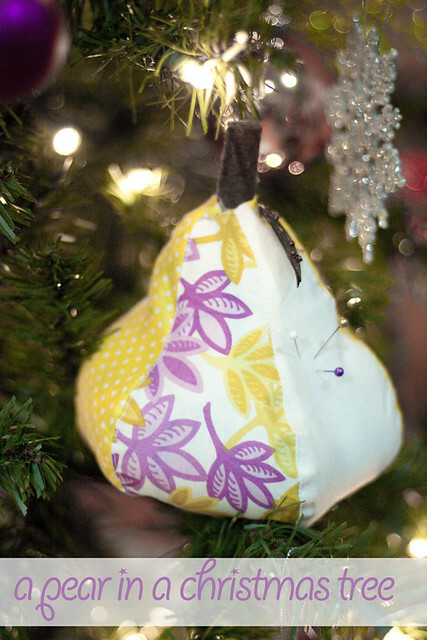 Now tuck in the top pieces of your pear, draw a line of hot glue around the bottom of your steam and insert it into the top of your pear, pushing the sides of the top of your pear around the stem and thus gluing them together. but I still think it is cute! 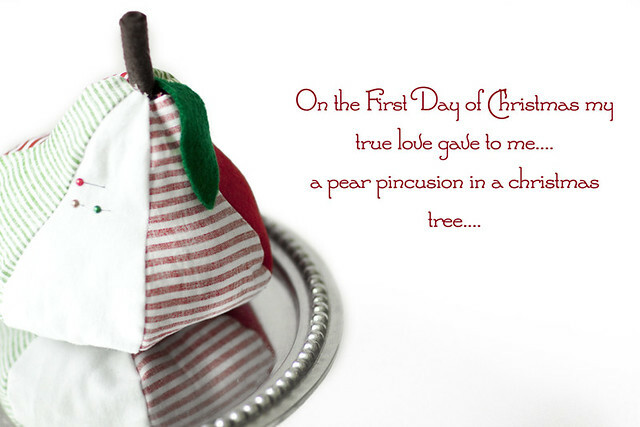 Hope you enjoyed the first day of Christmas! See you tomorrow for Two Turtle Doves. Grab a button on the sidebar and share the fun with your readers! 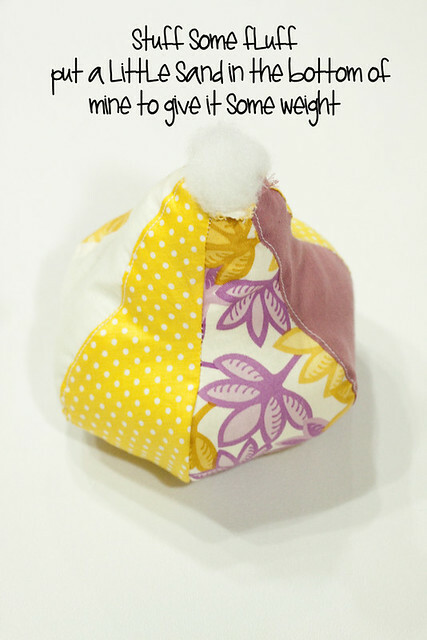 This is a good idea for a cute potpourri bag too! oh my gosh! 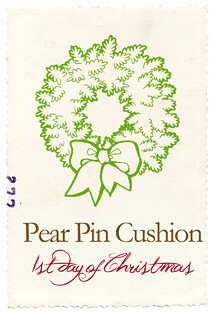 i love pears, my blog is called the perfect pear. So naturally i would LOVE this! this is SO adorable and lovely! This is so cute! I'm including it my Friday Favorites feature this week!